In direct contrast to The Cosby Show, which was the most popular show on television at the time of Married With Children’s inception, which depicted an upper class life, void of any real drama, or problems, Married With Children exposed the harsh realities of poverty and working class life. 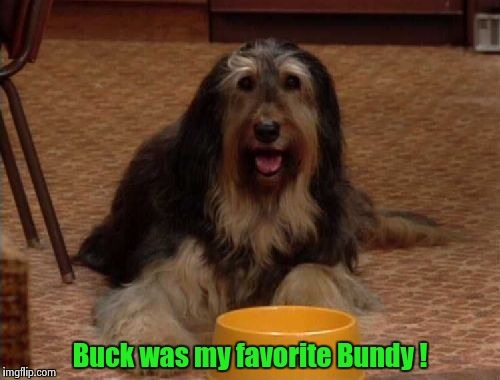 The bubbly, upward-mobility of the Huxtables is subverted by the dysfunction and self-destruction evident in the Bundy household. In fact, the original title of the show was “Not the Cosbys. Yep! Also, the inspiration for both Al and Peg were the late great Sam Kinison, who actually did star as Al's guardian angel in the episode, 'It's A Bundyful Life' and Roseanne Barr. Both Sam and Roseanne were offered the roles of Al & Peg first, since they were the inspiration for both characters, but they declined. When Cheech Marin did his voice , priceless . ~Classic! Buck was definitely awesome! 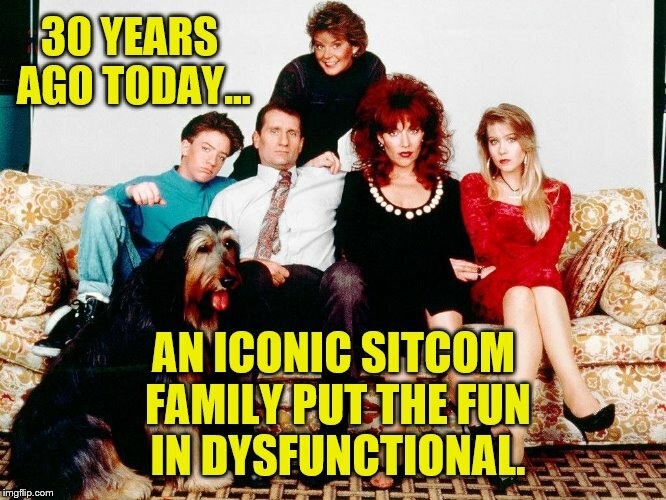 30 YEARS AGO TODAY... AN ICONIC SITCOM FAMILY PUT THE FUN IN DYSFUNCTIONAL.